How to Use the light Microscope! 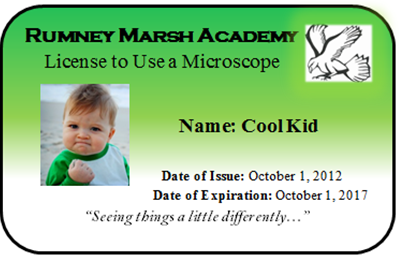 How to Earn your Microscope License? You must show Ms. A one-on-one how to properly set up the microscope and focus the microscope using a prepared slide. Did you know that Microscopes have arms and stages? Do you know how to properly care for a high tech piece of equipment?